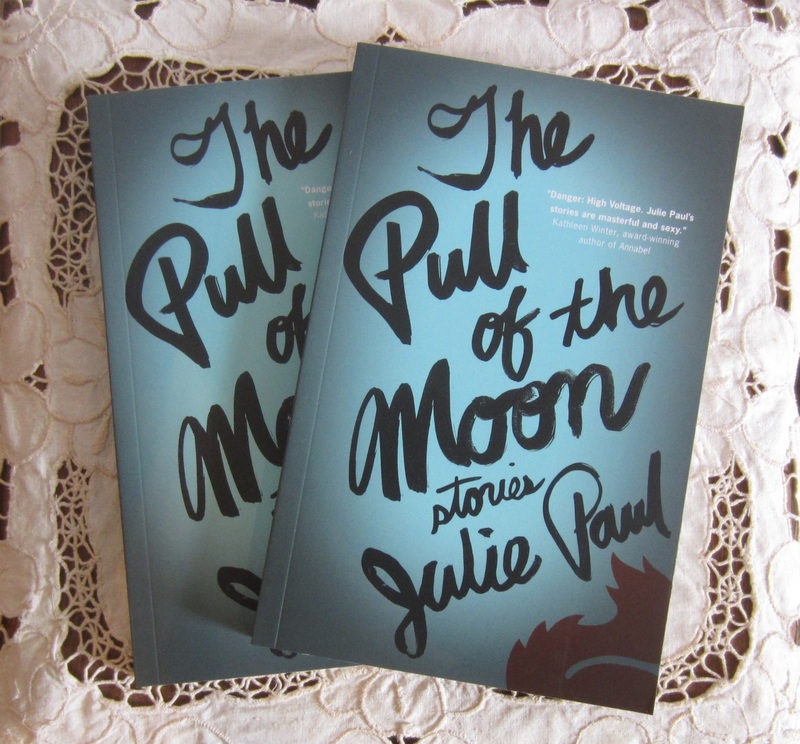 Originally from Lanark, Canadian author Julie Paul recently contacted us to let us know about her new book The Pull of the Moon. As you know by now, we have a special place in our hearts – and on our bookshelves – for Canadian authors, and this collection of short stories is one I’m very much looking forward to reading. Come and get your copy today and help support a great local author! Twelve short stories that examine what happens in the lives of characters who discover shocking truths about the people they thought they knew best. Whether set in a cottage or a Montreal market, a graveyard or a backyard, these stories transport you into the lives of people you’ll recognize. Your neighbours may not want to make squirrels into pets or sell you a piece of the moon. Your son may not be asked to donate sperm to his girlfriend’s mother. Your sister may not want you to bring a dead cat across the border. You may not have an imaginary husband, a secret brother, or a friend who has turned to murder in a custody battle. But in each of these stories, people are trying to figure out how to live in a world that doesn’t always seem hospitable. With her keen poet’s eye, Julie Paul examines human nature and animal instinct, as the characters in The Pull of the Moon try to negotiate their impulses and desires. Ultimately, they want what most of us want: connection, belonging, love, and forgiveness.